After a 25 minute plane ride, I arrived in Cap Haitien from Port-au-Prince. I’m not scared of flying on small planes but it isn’t my favorite thing in the world to do. Thankfully, there was only slight turbulence and we made it unscathed. Thanks, Tortug’Air. 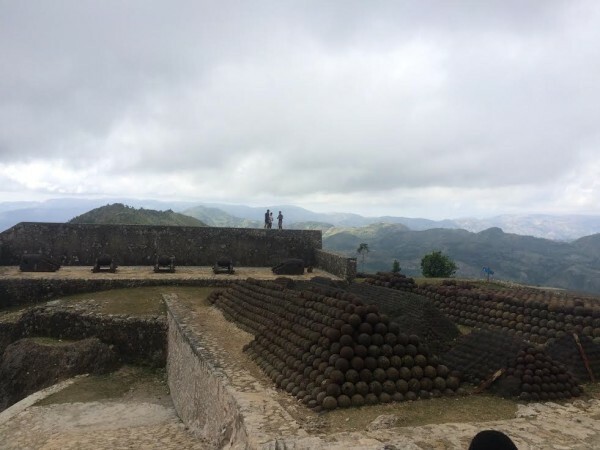 We were staying in downtown Cap Haitien for the weekend, so it took about 30 minutes to get to the small town of Milot where Sans Souci and The Citadelle are located. We met our tour guide, Maurice (also known as the best Haitian tour guide ever), in town and we headed to Milot. The home of Haitian hero Henri Christophe, Sans Souci was truly breathtaking. After fighting for and achieving independence from France in 1804, and after the assasination of revolutionary Jean-Jacques Dessalines, Christophe declared himself King of the North while Alexandre Pétion became King of the South. 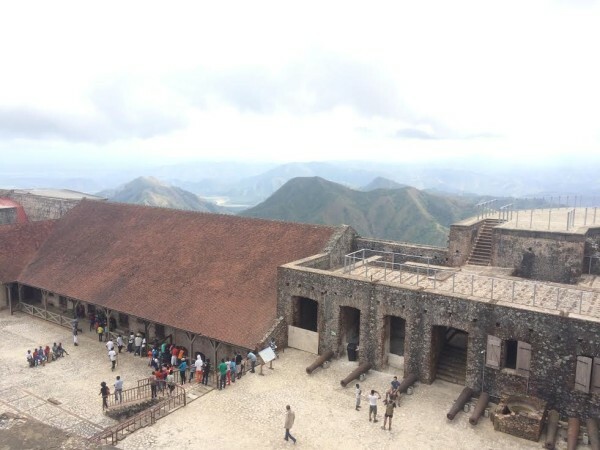 Christophe built Sans Souci in the North to show the world that Haiti and its (Black) people were powerful and a global force. Sans Souci was built to rival Versailles in France. The grounds were grand and as Maurice painted the picture of the home’s layout, I imagined Christophe commanding his army from the balcony and his wife swimming in her pool as she looked over her lush gardens. In its prime, Sans Souci was lavish and served backdrop to many state dinners. It became the talk of Haiti and abroad. While Sans Souci was built to rival Versailles, one thing Versailles did not have when it was built was a cooling system. Sans Souci was constructed in a way that utilized rainfall to cool it down. Quite ingenious for that time. 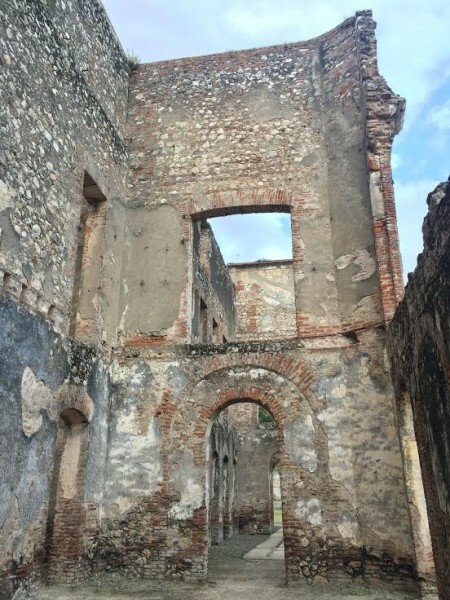 Destroyed during an earthquake in 1842, Sans Souci was never rebuilt. Next, we drove about 15 minutes to The Citadelle, also built by Christophe. The Citadelle was Christophe’s military fortress, built to protect Haiti from invaders, particularly the French. En route to The Citadelle, we reached a stopping point and because the paths were too narrow, you have to either walk or ride a horse to the top. Or if you’re the Haitian Minister of Tourism – a four wheeler. Seriously, why isn’t this an option for regular people like you and me? It should be! Midway, it dawned on me that this was the worst idea I’d had in a long time and seriously considered turning around. There was barely anything to hold on to on the saddle and the hills were STEEP. And I mean STEEP. There was no guard railing along the path so you’re pretty much entrusting your life to your horse’s handler. And by handler, I mean a 12 year old boy. Oy! After about a 30 minute horse ride, we reached the top. As I toured inside, I realized how truly massive the Citadelle was. Christophe feared an invasion from the French and refused to be under their rule again. France eventually recognized Haiti’s freedom in 1825 after Haiti agreed to pay a hefty tax. Christophe had each side of the Citadelle covered, ready to retaliate if ever under attack. There are several cannons around the property from various countries that Christophe bought to use for defense. The French never actually invaded, and Christophe committed suicide in 1820 because he was paralyzed after a stroke. He preferred to be the cause of his own demise rather than suffer being overthrown, captured or enslaved again. 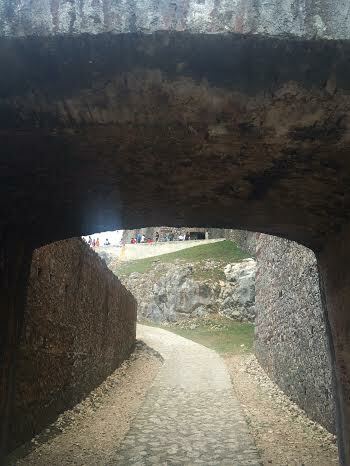 After walking around The Citadelle, we headed back down the mountain to our car. And going down the mountain on the horse was much worse than coming up. My handler laughed at me a few times because I swore my life was in danger. I still have nightmares. 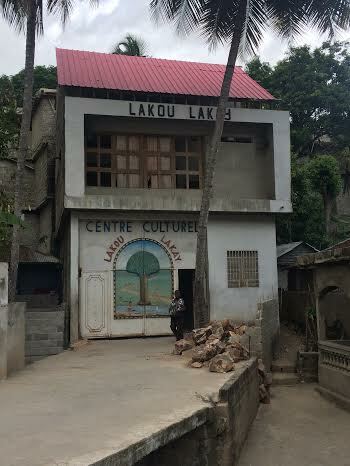 After our tour, Maurice took us to his restaurant, Lakou Lakay. He explained to us that he envisioned Lakou Lakay being a focal point in Milot, where it would serve as a restaurant and overall place where people can gather for any occasion. We were warmly welcomed by live drums and washed our hands before eating. Made by Maurice’s wife, our food was so delicious that I forgot to get pictures. Oops. Although it’s still under construction, I could see Maurice’s vision coming to life, as other visitors were coming in as we were leaving. 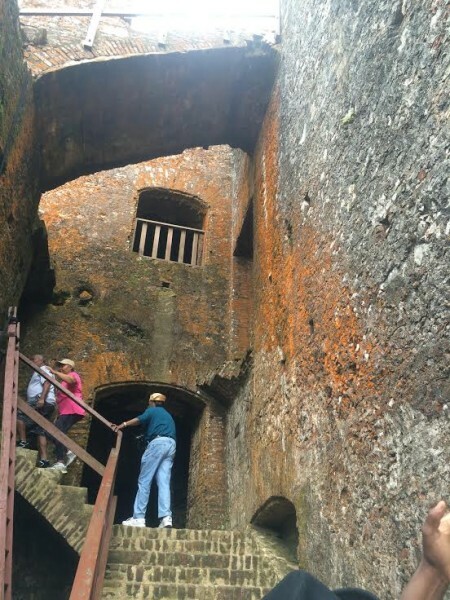 I truly enjoyed my experience in Milot. 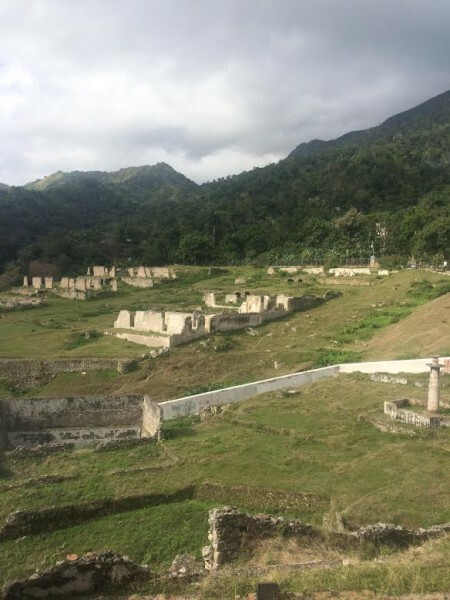 I learned so much about Haitian history that I didn’t know before and truly have a new perspective on the country. Thank you to our tour guide, Maurice, whose enthusiasm for Haitian history was contagious. 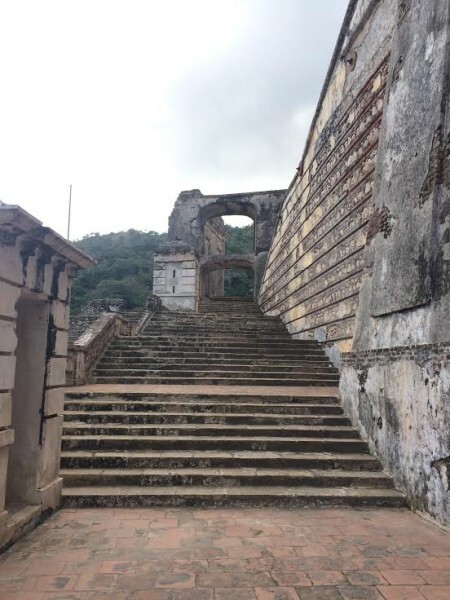 Please go visit Sans Souci, The Citadelle and Lakou Lakay if ever visiting Cap Haitien or Milot. 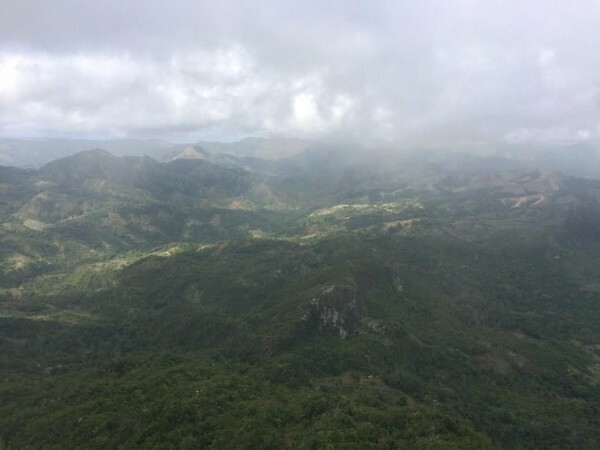 You’ll have a new appreciation for Haiti.